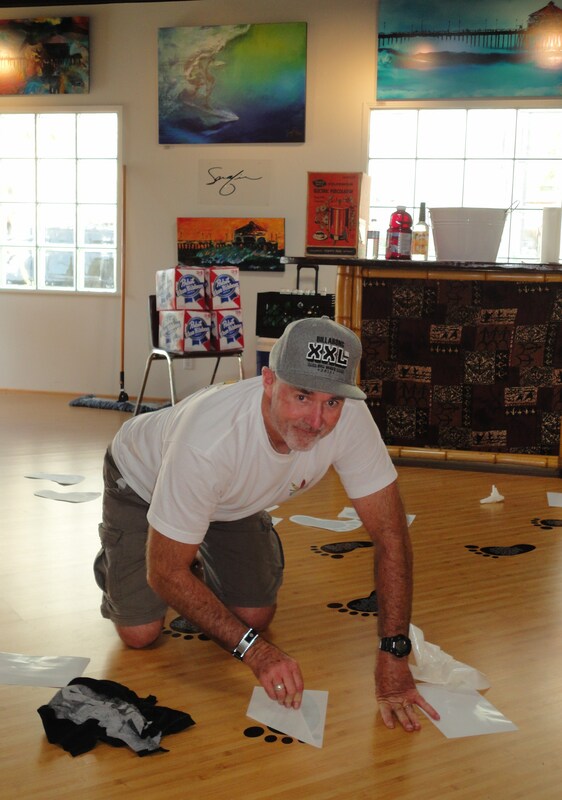 Less than an hour before the opening of the International Surfing Museum’s new exhibit Century of Stoke, Exhibit Director Dave Reynolds and the museum’s Director of Business Administration Paul Taylor were on their hands and knees carefully laying cut-out footprints on the floor. 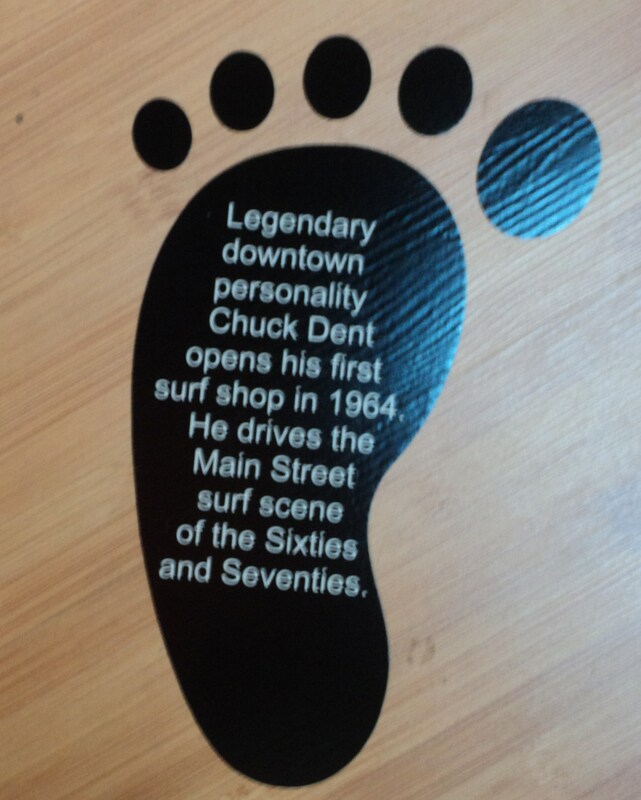 The footprints, arranged in chronological order around the main exhibit area, “each represent a milestone in the history of Huntington Beach and the people who went before,” Reynolds told SurfWriter Girls Sunny Magdaug and Patti Kishel. 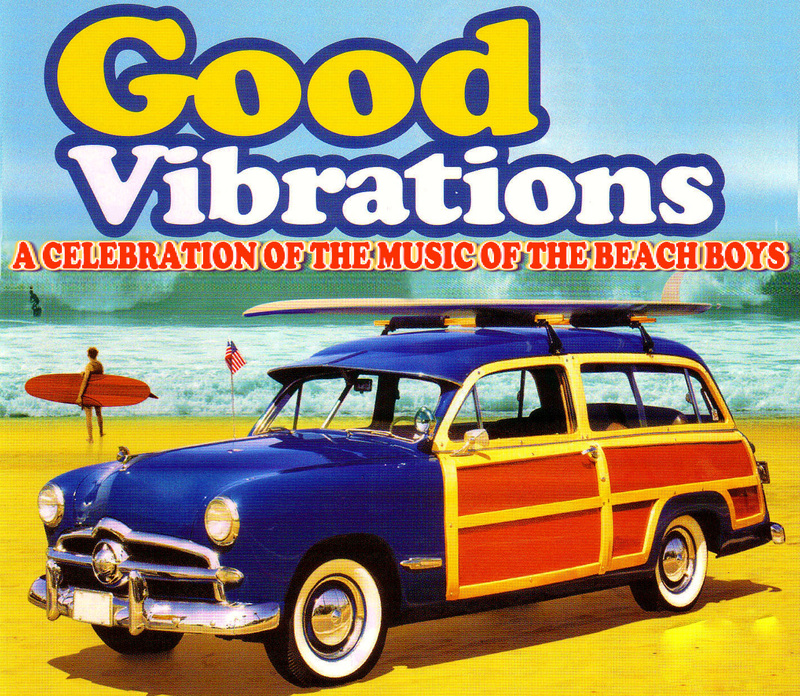 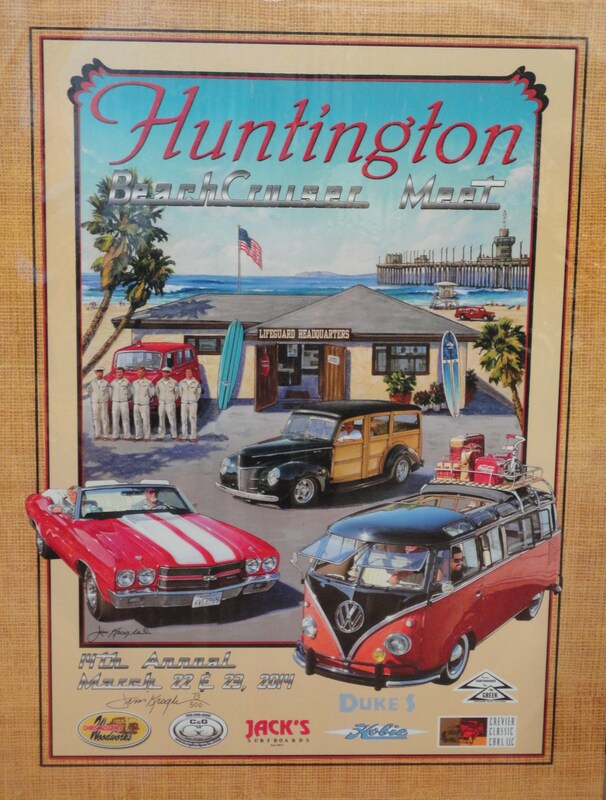 And what a history it’s been – taking the tiny community, once known as Shell Beach before oil and rail car mogul Henry E. Huntington put his name on it, and turning it into the surfing capital of the world. 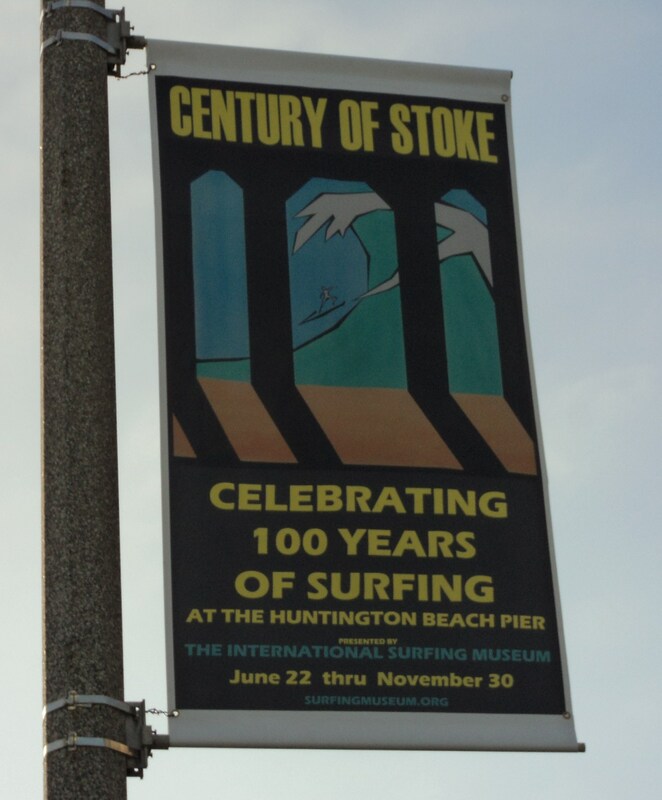 The 100-year procession of visionaries, entrepreneurs, surfers, board shapers, artists, musicians, community leaders, and more who forged HB into the Surf City USA of today is on display in Century of Stoke, curated by Reynolds and surfing’s first professional world champion Peter (PT) Townend. 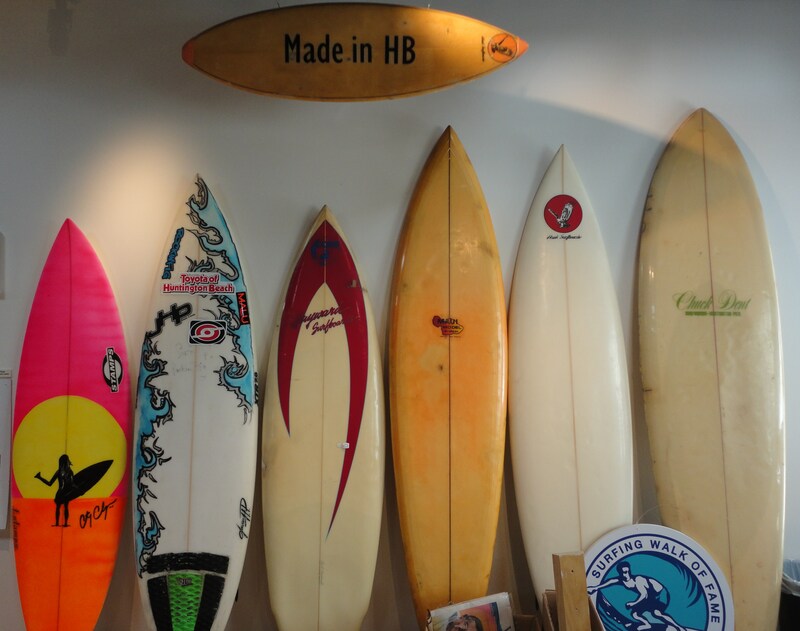 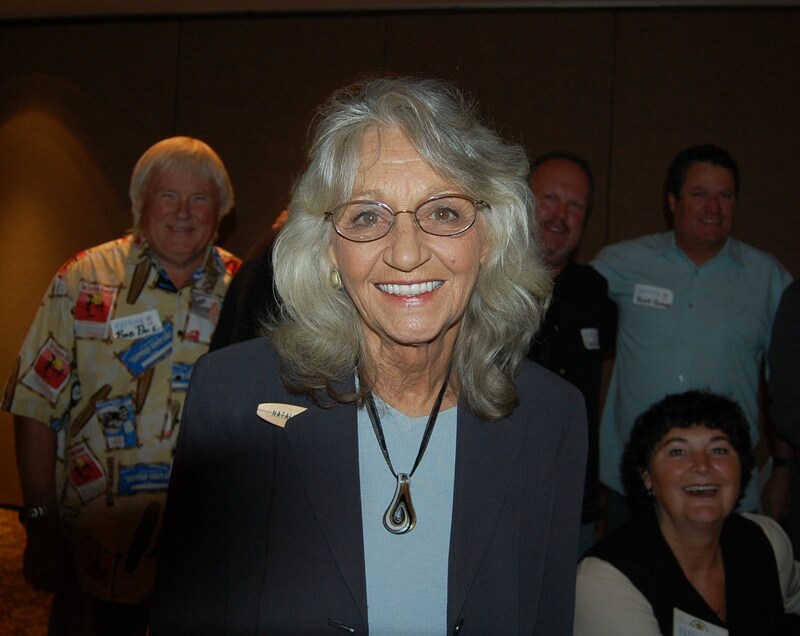 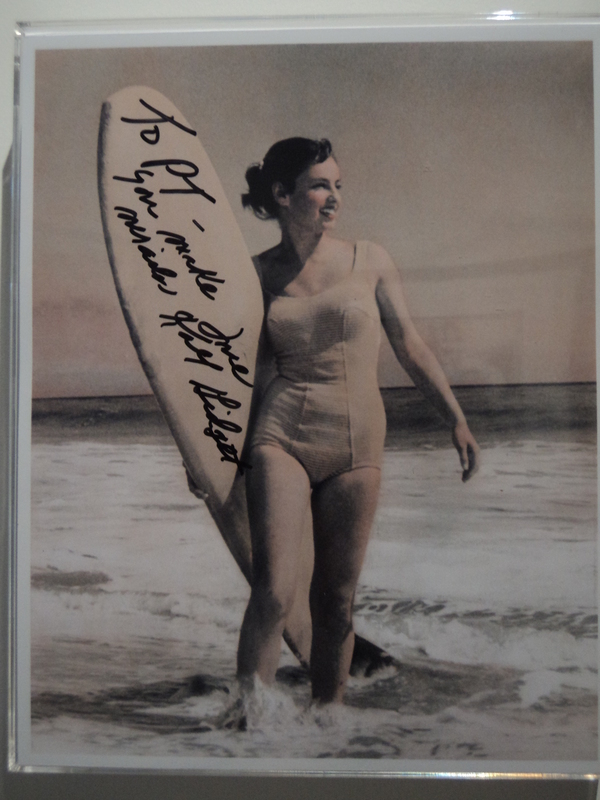 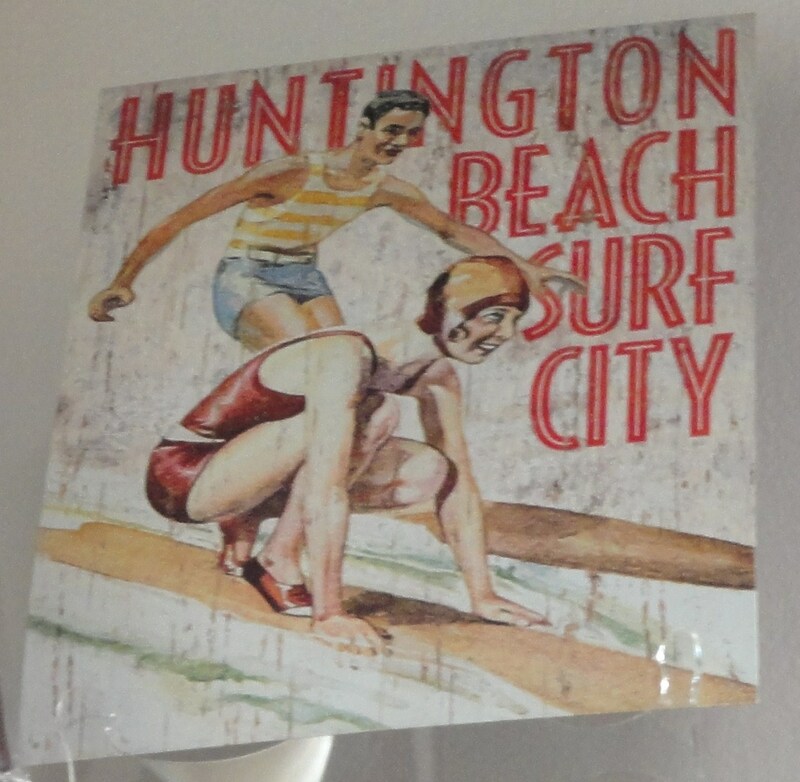 And the memories…especially the memory of Natalie Kotsch, the transplanted Canadian and non-surfer, whose desire to preserve Huntington Beach’s surfing history led to the creation of the International Surfing Museum in 1987. 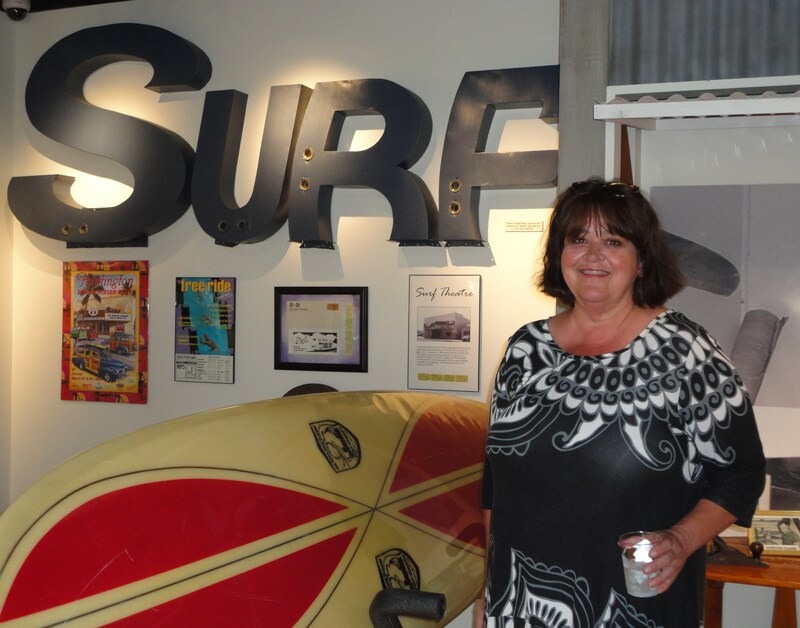 The spirit of museum founder and muse Natalie, who passed away last February, is intensely present in the exuberance of the exhibit itself and within the hearts of those who are carrying on her legacy. 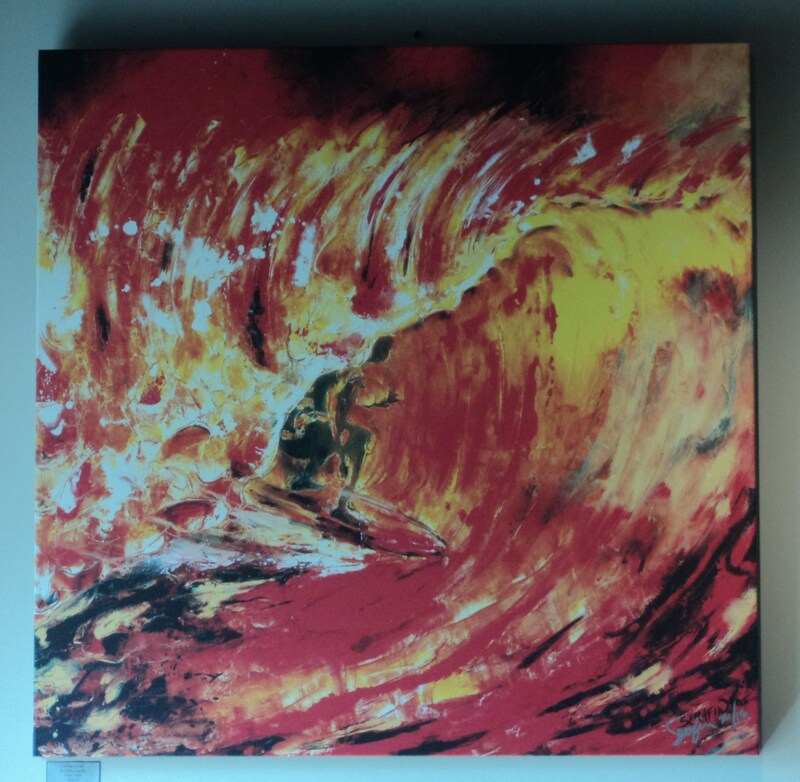 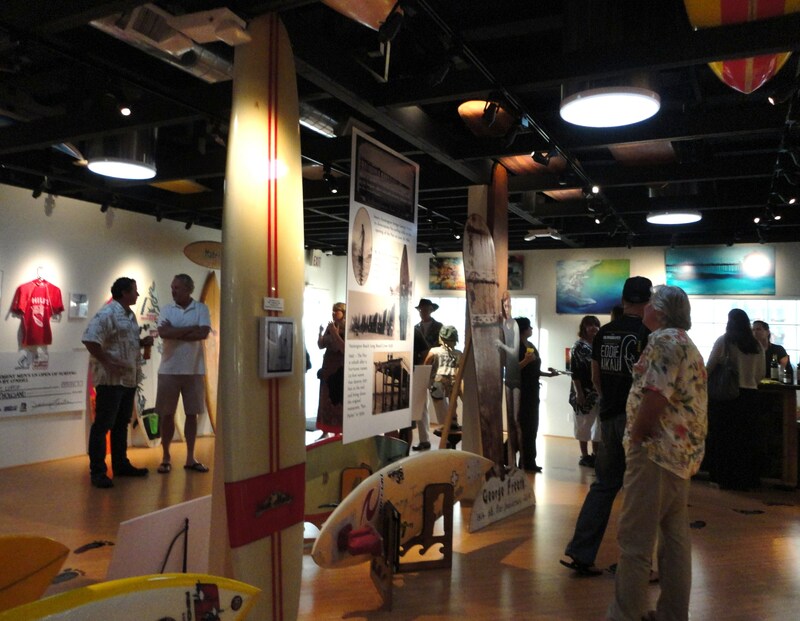 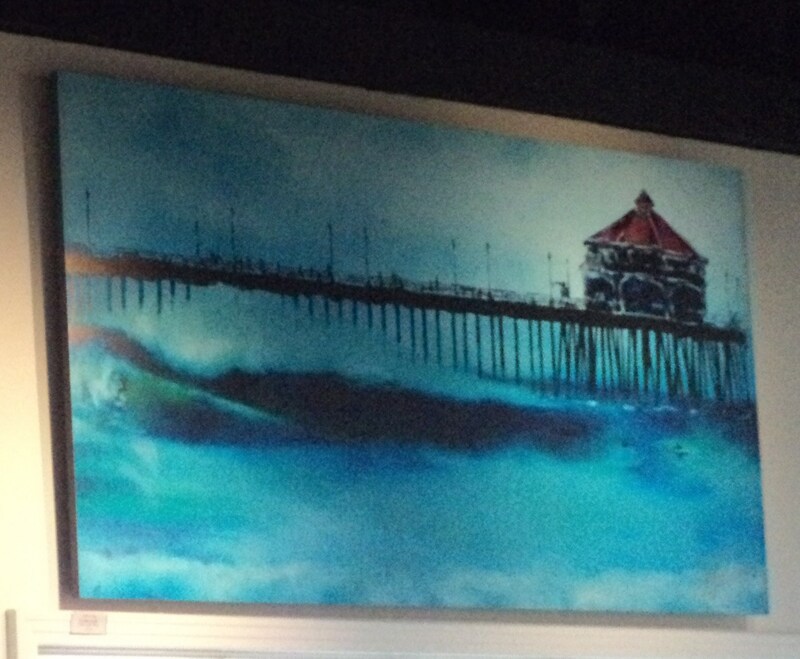 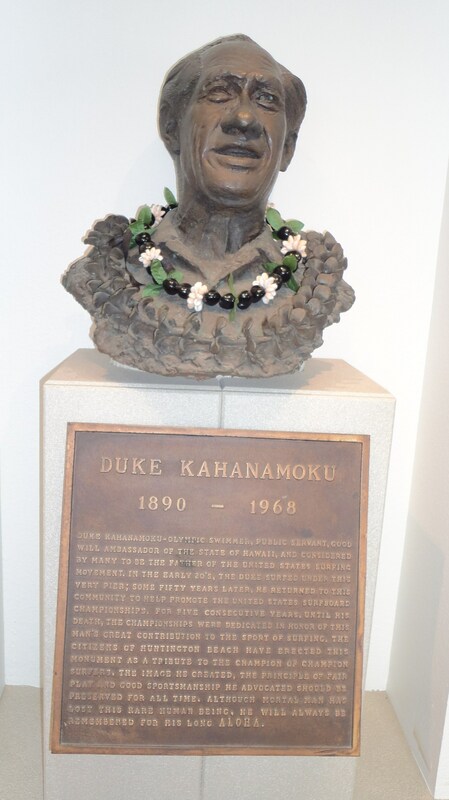 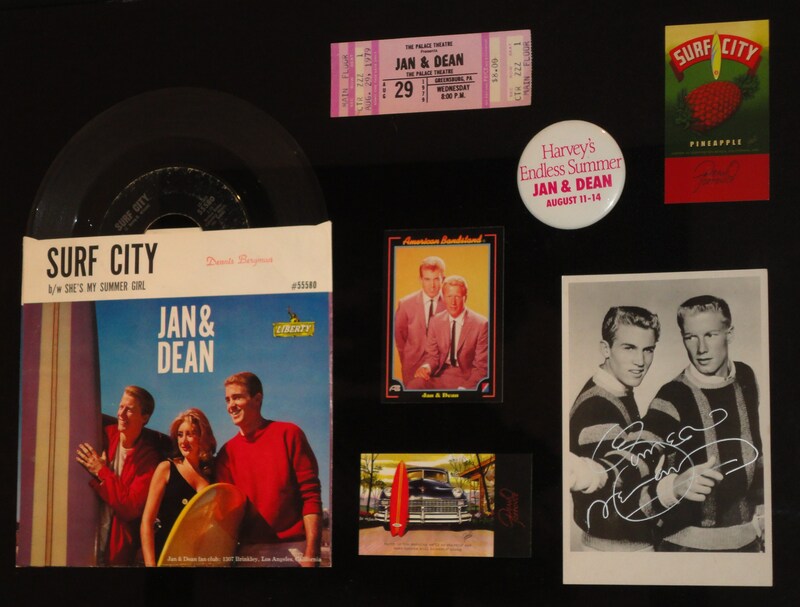 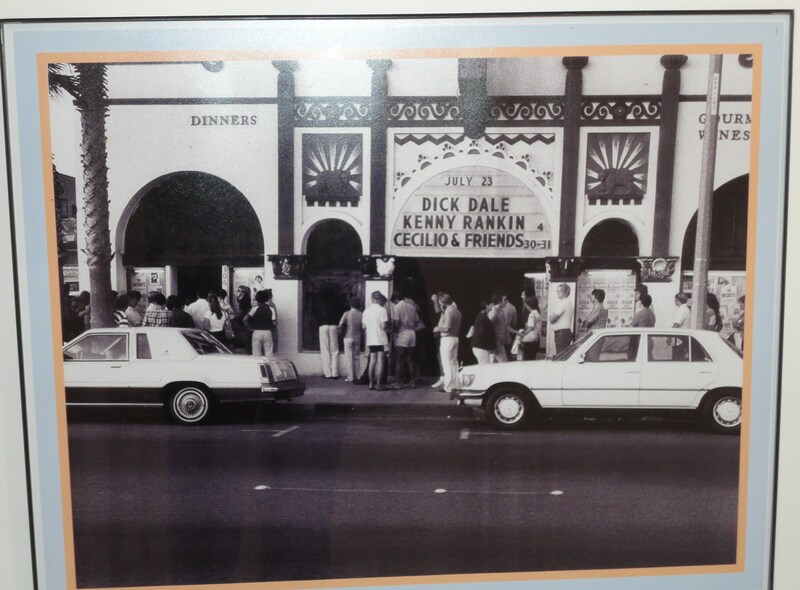 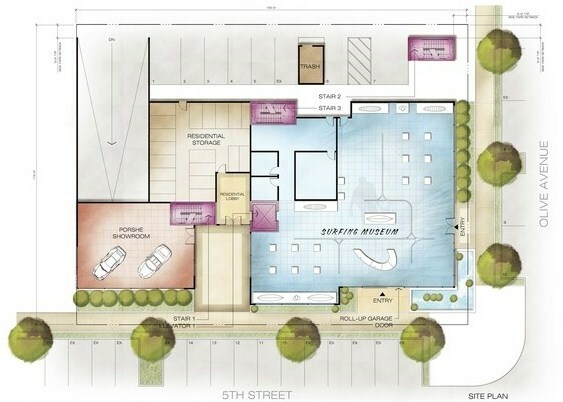 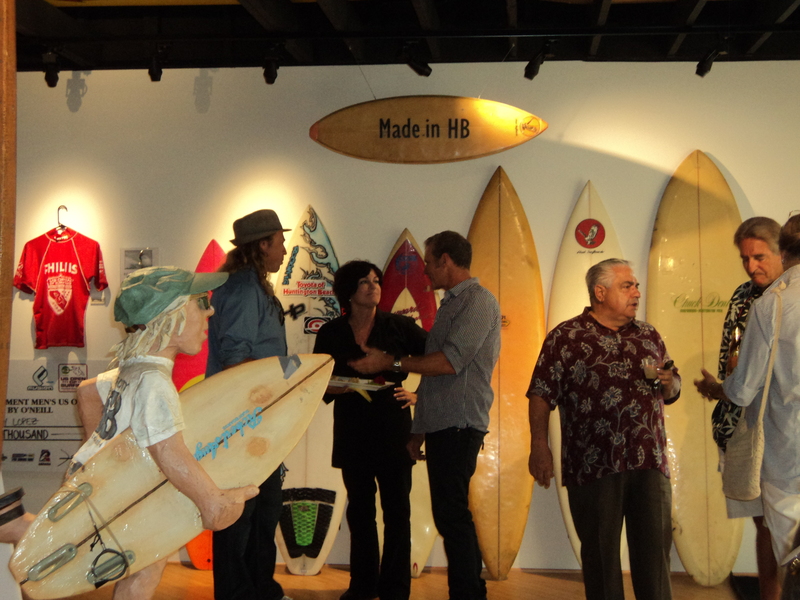 A highlight of the exhibit’s opening was the unveiling of the drawings for the museum’s planned expansion that will increase its square footage from 2,000 to 7,000 square feet and enable it to showcase even more surfing memorabilia and artwork. 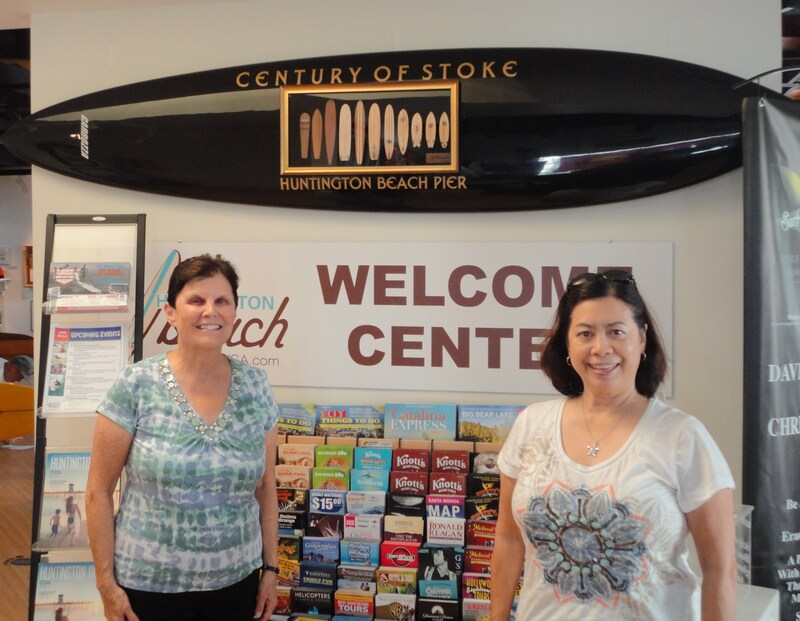 To help the museum reach its goal, proceeds from Huntington Beach’s 100 Years of Surfing events scheduled this year have been designated to benefit the International Surfing Museum. 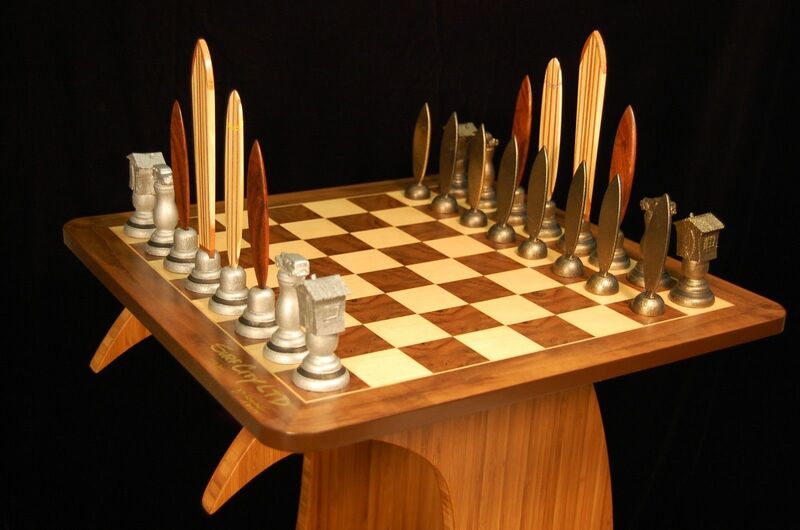 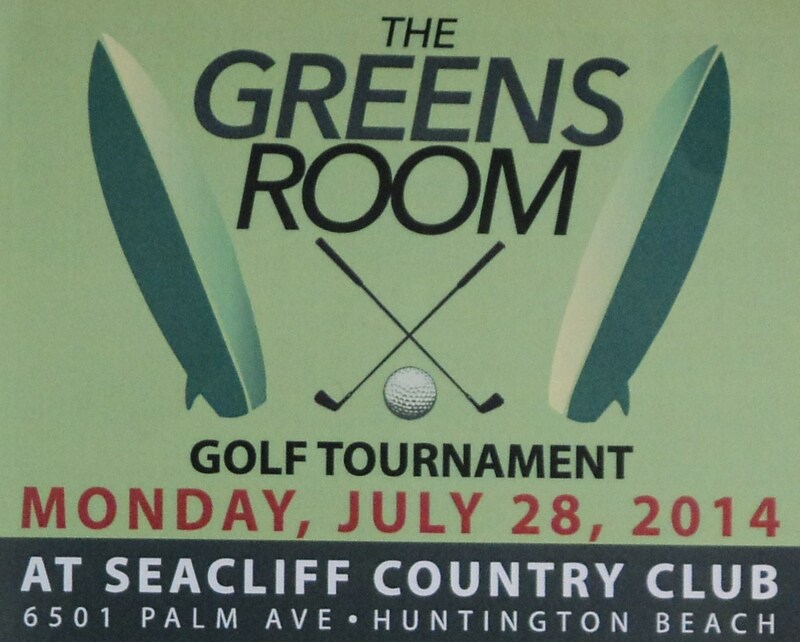 This includes the Greens Room Golf Tournament, Monday, July 28, at Seacliff Country Club. 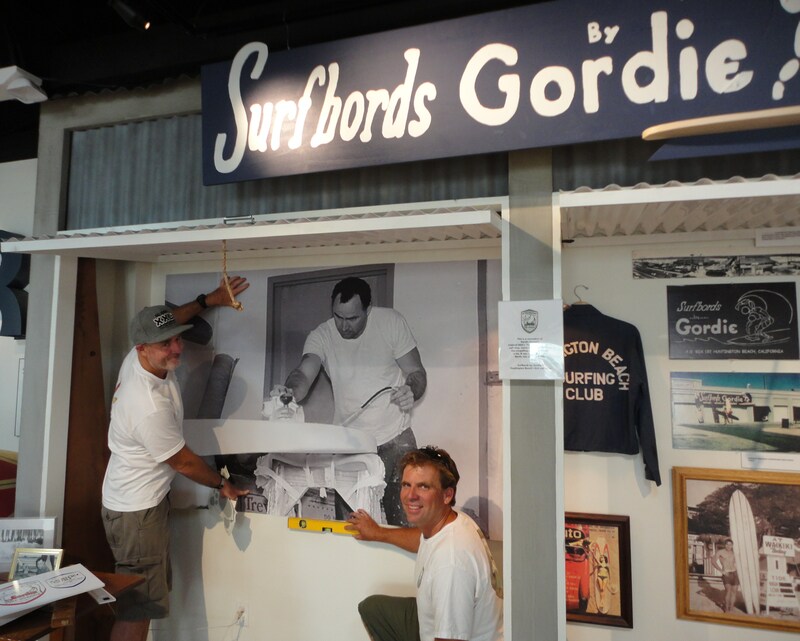 Named after the surf term, the green room, which describes the perfect spot inside the barrel of a wave, the tournament features professional surfers and surf industry leaders among the players and is open to the public. 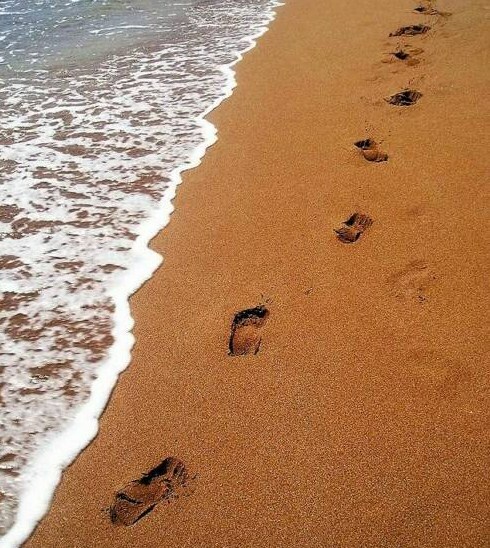 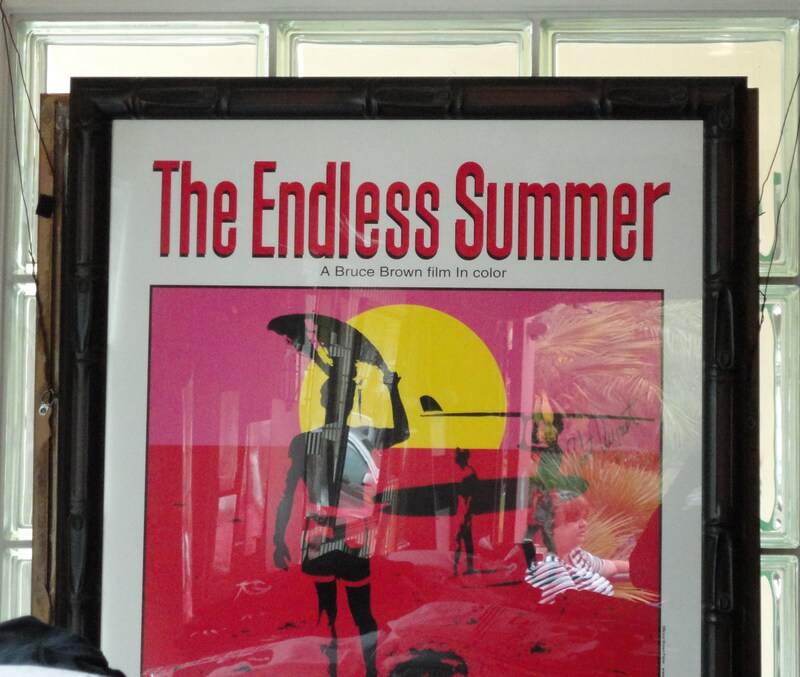 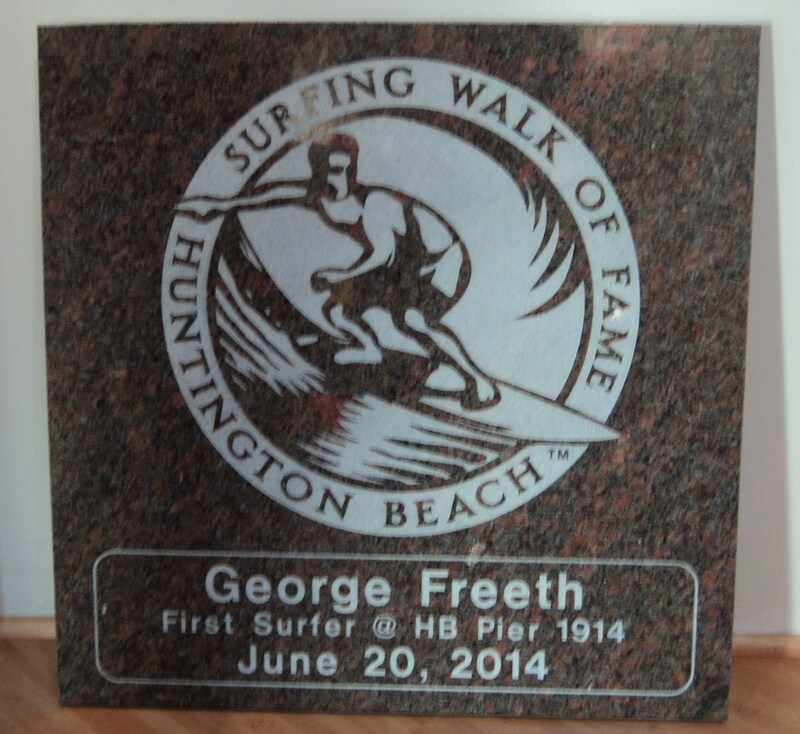 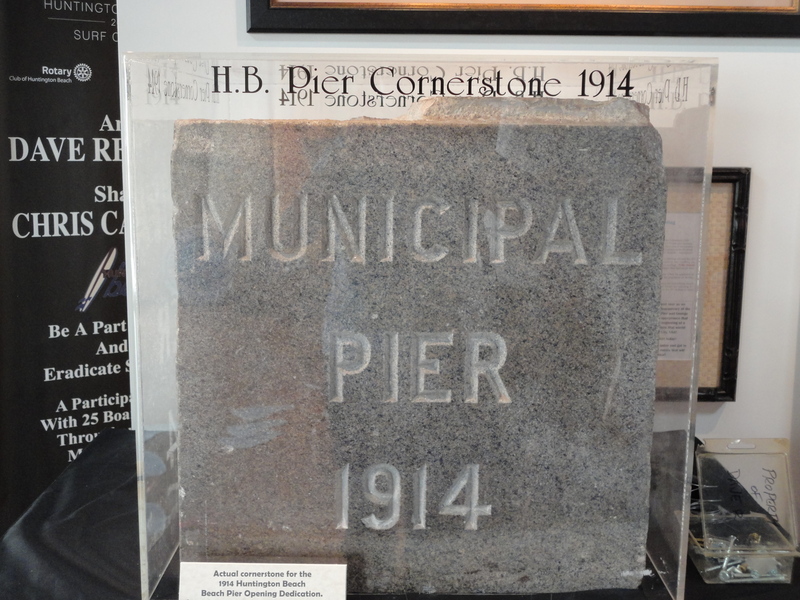 Now that Huntington Beach is celebrating its centennial summer we’re excited to see where the next footprints lead!